Immedium publishes children's picture books that they are wonderfully illustrated and inspire a world of imagination. 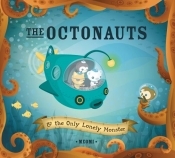 We are the original publishers of The Octonauts, now a popular animated TV series worldwide, as seen on the Disney Channel. 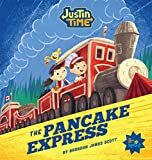 We publish the official adaptations of Justin Time, another hit TV series broadcast on PBS Sprout. We also focus on multicultural, diverse, and Asian American stories, such as the only English series on the animals of the new year - Tales from the Chinese Zodiac. Check out all our colorful adventures and learn more at www.immedium.com. Our stories have universal appeal and amazing artwork, and are great candidates for licensing to sell in other countries. We look forward to hearing from international publishers who are interested in partnering with our properties.